Here&#39;s my contribution to Electricity Week. Here's my contribution to Electricity Week. 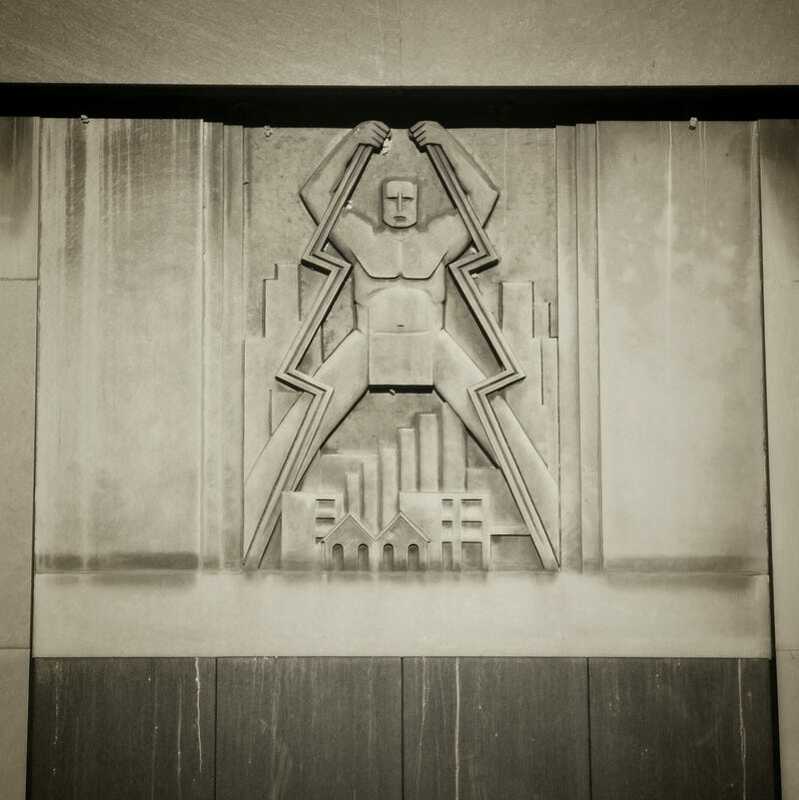 A design from an electrical substation in the Chicago loop, supposedly built in the 1930's. And below, some power lines.